Pierson NHS from Tangram on Vimeo. The Polar Bear Plunge, taking place every second Saturday in December, is the organization’s most anticipated event. It attracts hundreds of people each year, and this past weekend, Pierson’s NHS created its own team in an effort to benefit the cause and be among the freezing participants. In the weeks leading up to the plunge, NHS members raised over one thousand dollars from sponsors, all of which went directly to benefit the community by helping to stock the shelves of the food pantry with healthy food, to organize donated clothes, and to assist children, families, senior citizens and veterans. At the event, in the below freezing temperatures, you could spot Woody and Buzz Lightyear, mermaids and unicorns, several Santa Clauses and many polar bears casually roaming the beach. As a member of the NHS team, I can attest the coldness of the freezing air, even before we jumped into the water. 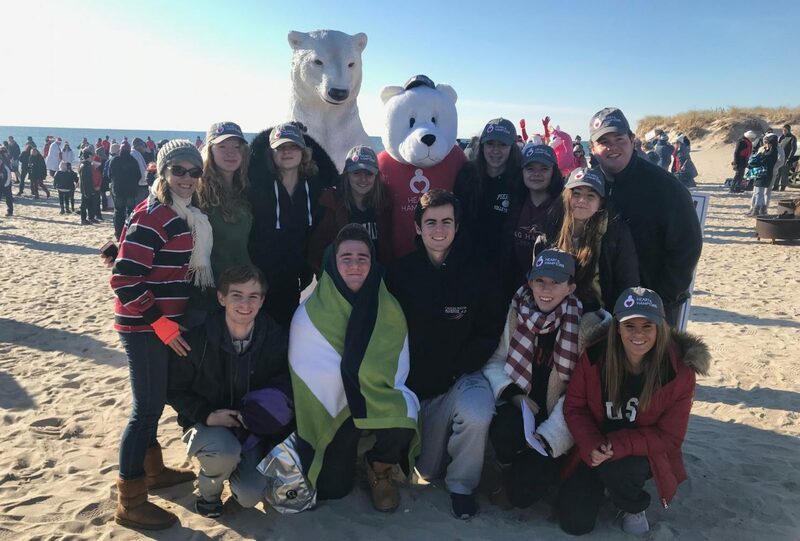 Although we collectively agreed that our feet and hands had never been colder, the entirety of the NHS team was happy to take the plunge to benefit the Heart of the Hamptons, and give back to the community. It was cold, but it was worth it. For more information about Heart of the Hamptons visit https://heartofthehamptons.org.